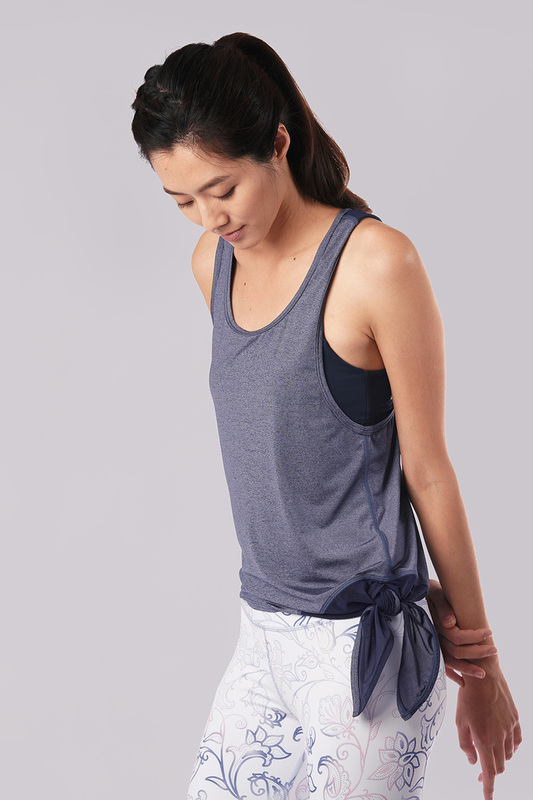 Fall in love with this ultra comfy workout tank with a sharp fashion edge featuring two-way styling options; tie it up for a sporty fitted look or let it loose for a feminine chic asymmetric top look! Breathe, move and glow easy with miBreathe light fabric. Asymmetric mesh panel racer back top with stylish open back and dropped armholes. Easy side tie option with the longer open slit mesh panel tail. Embellished with a Yumi ‘Y’ mark hardware tag.